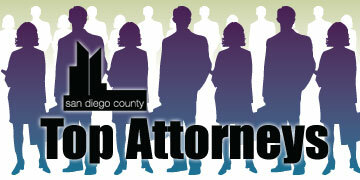 Robert S. Gerber is a partner in the Del Mar Heights (northern San Diego) office of Sheppard Mullin. He joined Sheppard Mullin in the fall of 1989, after clerking for the Hon. Rudi M. Brewster (Ret. ), United States District Court Judge for the Southern District of California, from 1988-89. Gerber represents clients in a variety of intellectual property matters in the entertainment, media, technology, Internet and traditional retail industries, as well as patent, trademark, copyright and trade secret lawsuits. His practice also focuses on the defense of lawyers, accountants, directors, officers, brokers, insurers, and others in professional liability claims and related insurance issues. Gerber is rated AV by Martindale-Hubbell and has been named as a "San Diego Super Lawyer" by Law & Politics, a division of Key Professional Media, Inc. He has also been named a “Top Attorney" by The Daily Transcript in the areas of corporate litigation and intellectual property Litigation. 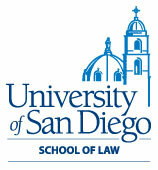 Gerber is a board member of the San Diego County Bar Association. He is also the immediate past president of the J. Clifford Wallace American Inn of Court; a master of the Louis M. Welsh Inn of Court; and the co-chair of the Trade Secrets Subcommittee of the Intellectual Property Litigation Committee of the ABA's litigation section. He is also a former chair of, and current advisor to, the Legal Ethics Committee of the San Diego County Bar Association. He is a former Ninth Circuit Trustee of the American Inns of Court Foundation; an appointed Lawyer Representative for the Southern District of California; a member of the California State Bar Commission on Judicial Nominees Evaluation; and chair of the Litigation Section of the State Bar of California. Gerber was also the chair of Sheppard Mullin's Pro Bono Committee for nearly a decade, and remains on the Committee. In 2010, Sheppard Mullin named him the "Pro Bono Attorney of the Year" and "Pro Bono Attorney of the Decade." He has donated thousands of hours of free legal services to the indigent since becoming a lawyer, including the representation of a Mexican teenager in a precedent-setting immigration case entitled Hernandez-Montiel v. INS.